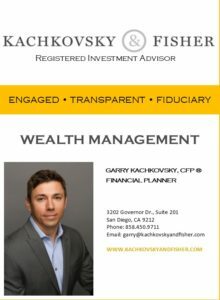 Courtesy of Financial Planner Garry Kachkovsky: Early detection of Alzheimer’s disease and other dementias is vital to helping protect the financial future of those affected and their families. After seeing friends, family members, and clients suffer through this disease for years, I became more aware of the effect it has not just on the individual, but those that care for them. 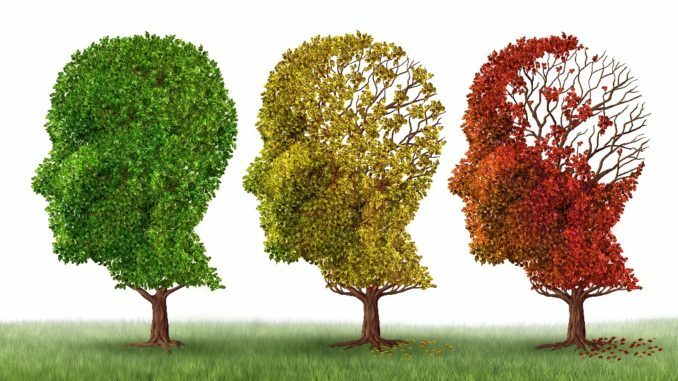 Research shows declining financial skills are among the first symptoms to appear in people with Alzheimer’s, the most common form of dementia. More than 5 million Americans — including 1 in 9 people over age 65 — are living with Alzheimer’s and someone in the U.S. develops the disease every 67 seconds (source: The Alzheimer’s Association®). Some may experience changes in their ability to follow a recipe or monitor monthly bills. People with Alzheimer’s may have trouble driving to a familiar location, or remembering rules to a favorite game. This involves problems with following or joining conversations. People with Alzheimer’s may stop in the middle of a conversation and have no idea how to continue. They may also have trouble remembering words to identify objects. An example is placing things in unusual places and not remembering where the individual had been before losing them. This includes making extravagant purchases or giving large amounts of money to telemarketers. People with dementia may also pay less attention to personal hygiene. Some people with Alzheimer’s may begin to have trouble following their favorite sports team or remembering how to complete a project associated with a favorite hobby. Mood changes can include confusion, depression, or the acts of being suspicious, fearful, or anxious. People with Alzheimer’s may also become easily upset at home, at work, or with friends. 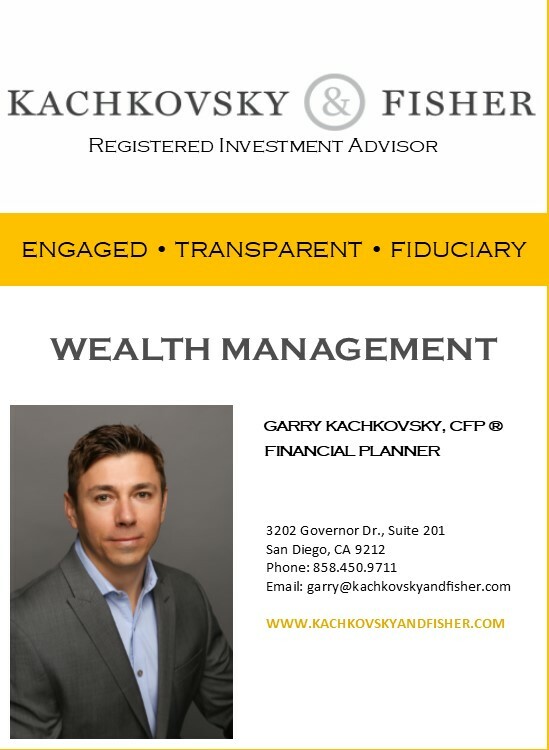 If you have questions regarding financial matters, give Garry a call at 858-450-9711 or email at garry@kachkovskyandfisher.com.